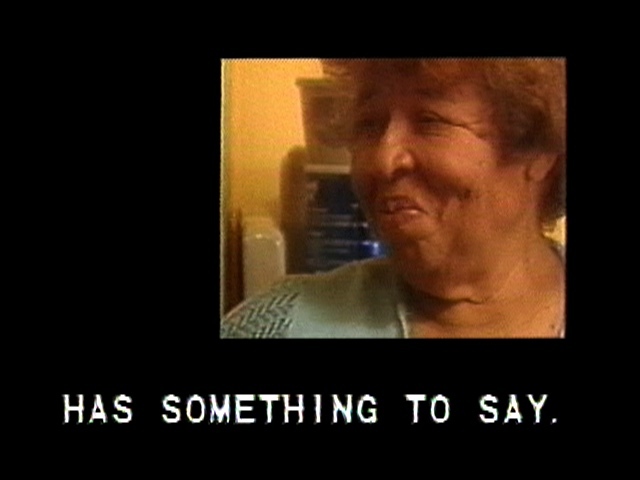 Electronic Arts Intermix (EAI) is pleased to welcome back Kalup Linzy for a special screening and conversation. Linzy recently spent several days at EAI re-watching his earliest videotapes, including a pilot for his undergrad soap opera, The Winding Road (2000), and a documentary about his small Florida hometown, Stuckey. 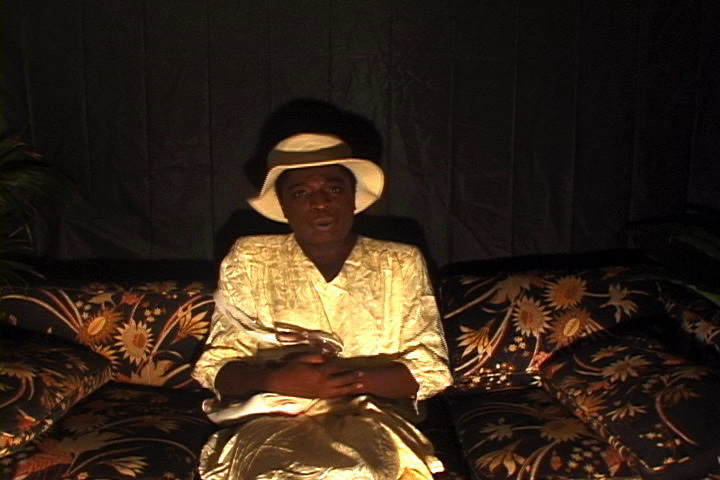 Linzy will present selections from these tapes, many never screened publicly before, and talk about his upbringing in Stuckey and the influence of television soap operas, a long-standing family viewing tradition that became a primary artistic strategy for him. 2019 marks the centennial of Merce Cunningham’s birth, providing an occasion to reflect on the choreographer’s profound influence. As part of the year-long global celebrations, EAI and Anthology Film Archives are partnering on a series focused on Cunningham’s films and videos, calling attention to the presence of the moving image throughout his career. This series will be inaugurated with a rare cinema screening of Variations V (1966), one of Cunningham’s earliest filmed dances. Initially performed in 1965, Variations V realized a remarkable multi-media collage of stark movement, sound, electronic engineering, and striking film and television images. A key feature of the dance was the presence of twelve antennae poles, built by Robert Moog, that released sounds whenever a dancer was in proximity. Bell Labs research scientist Billy Kluver contributed a set of photocells also designed to trigger sounds – the sources of which were supervised by John Cage, David Tudor, and Gordon Mumma. The eerie oscillations and tones emanating from Space Age-era gadgetry, along with Stan VanDerBeek and Nam June Paik’s film and video manipulations, provide a striking counterpoint to the actions of Cunningham and his dancers. This filmed version from 1966 was staged in the NDR television studio in Hamburg, Germany. 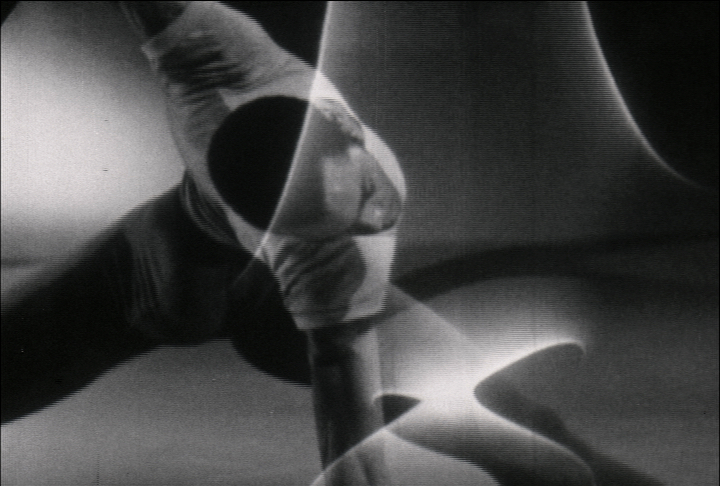 Dancer, critic, and choreographer Gus Solomons, Jr., who performed in Variations V and appears in the film, will be here in person for an introduction and Q&A. Presented in collaboration with the Merce Cunningham Trust. The Conditions of Being Art is the first book to examine the activities of groundbreaking contemporary art galleries Pat Hearn Gallery and American Fine Arts, Co. (1983-2004), and the transnational milieu of artists, dealers and critics that surrounded them. Drawing on the archives of dealers Pat Hearn and Colin de Land – both, independently, legendary players on the New York art scene of the 1980s and 90s, whose life partnership offered a third space of ideas and kinship – the publication coincides with the exhibition of the same name currently on view at CCS Bard Hessel Museum of Art. 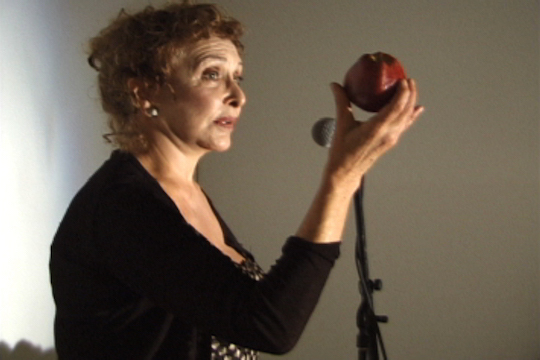 To mark its publication by CCS Bard and Dancing Foxes Press, EAI and Dancing Foxes present a screening of video and films by artists supported by Hearn and de Land. An informal talk with The Conditions of Being Art editors and curators Ann Butler, Lia Gangitano, and Jeannine Tang will follow. EAI is pleased to present an evening in conjunction with Soon All This Will Be Picturesque Ruins: The Installations of David Wojnarowicz at P·P·O·W. 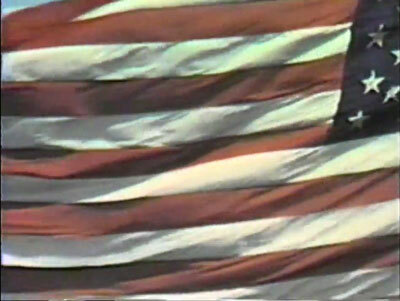 The event will include a rare screening of ITSOFOMO (in the shadow of forward motion) (1989-1991), along with A Fire in My Belly (1986-1987), and will be followed by a discussion between composer Ben Neill and writer Cynthia Carr. EAI is pleased to present a video program highlighting Dan Graham's collaborations with iconic composer/musician Glenn Branca (1948-2018), in partnership with Greene Naftali Gallery. 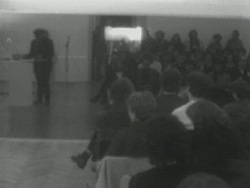 Introduced by Graham, the screening will include two video works that feature Branca's music — Westkunst (1980) and Two-Way Mirror Cylinder Inside Cube and a Video Salon (1992) -- and the 1983 Graham/Branca performance collaboration Performance and Stage-Set Utilizing Two-Way Mirror and Video Time Delay. 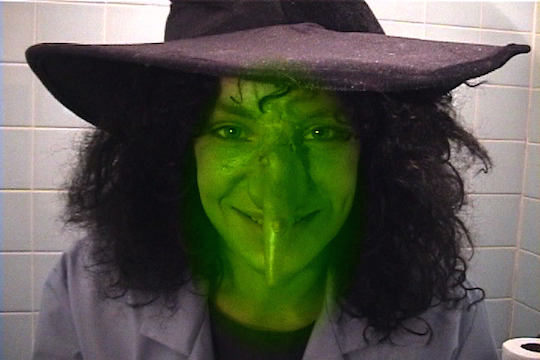 Graham's exhibition "A New Look at TV and a Funhouse" is on view at Greene Naftali through June 16th. 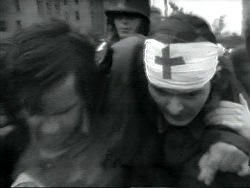 Electronic Arts Intermix (EAI) is pleased to present a special screening of David Cort’s Mayday Realtime, a groundbreaking work of video verité documenting the 1971 May Day demonstrations against the Vietnam War. 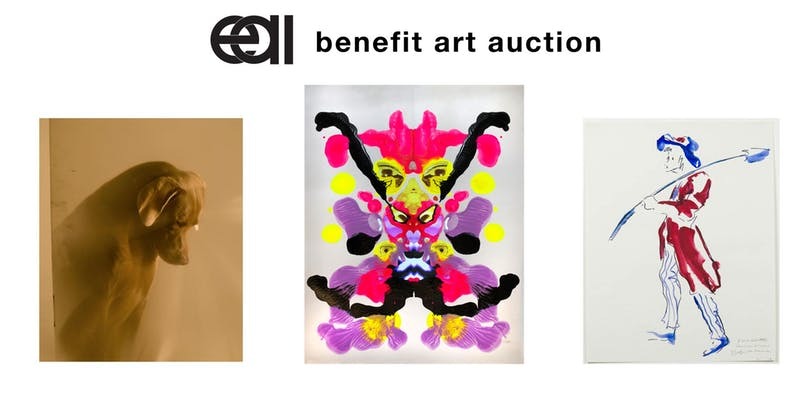 EAI is pleased to announce its first-ever Benefit Art Auction, to be held on Thursday, April 19. This special event will raise essential funding towards our mission of preserving and providing access to media art’s rich legacies, while fostering powerful new voices. Electronic Arts Intermix (EAI) is pleased to present an evening with Ulysses Jenkins, organized in conjunction with the exhibition Broadcasting: EAI at ICA. 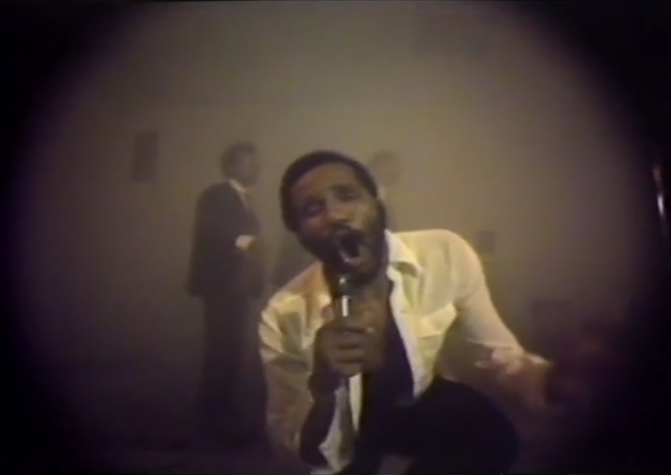 Within this exhibition, Jenkins – whose work explicitly deconstructs racial stereotypes in media – is featured as a key figure demonstrating themes of message transmission, image representation, and broadcasting as a subject and strategy. Works to be screened at EAI include Two-Zone Transfer (1979), Mass of Images (1978), Dream City (1981), and Planet X (2006), and will be followed by an artist talk. This evening is part of a rare east coast appearance by Los Angeles based Jenkins, who will also participate in events at ICA and EMPAC. With additional programs at Lightbox Film Center, PhillyCAM, Scribe Video Center, Slought, Anthology Film Archives, EAI, and EMPAC. 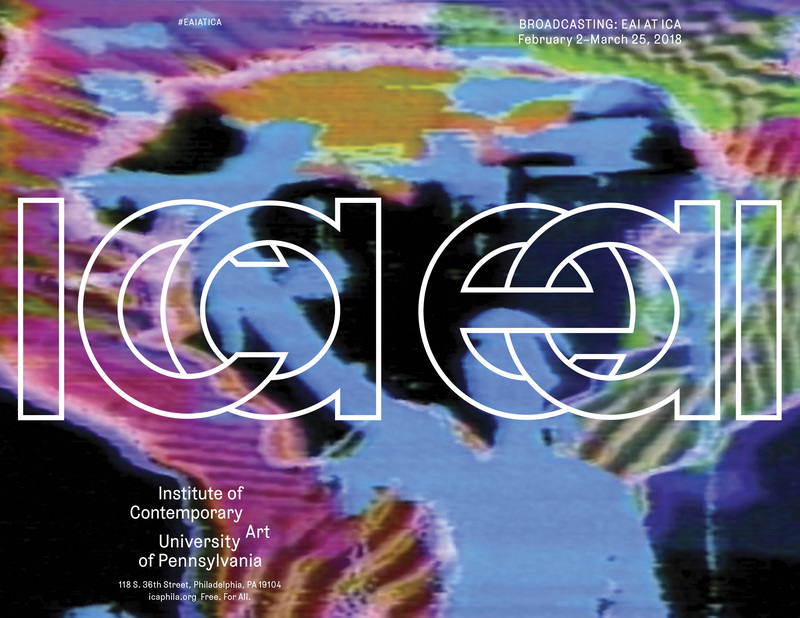 Electronic Arts Intermix (EAI) is pleased to co-present Broadcasting: EAI at ICA at the Institute of Contemporary Art (ICA), Philadelphia, February 2nd through March 25th. Featuring works by artists including Robert Beck, Dara Birnbaum, Tony Cokes, Ulysses Jenkins, JODI, Shigeko Kubota, Kristin Lucas, Shana Moulton, Trevor Shimizu, and TVTV, the exhibition will focus on how artists exploit the act of broadcasting as a subject, as a means of intervention, and as a form of participation across a variety of displays. The word “broadcast” originated as an agricultural term meaning to disperse seeds widely, but became a figurative description for communications technology in the radio age. In the television era, with which broadcasting is most synonymous, the introduction of personal video equipment fostered a more dynamic interpretation, facilitating a two-way flow of information that resonates with contemporary participatory media. In this spirit, the physical walls of the gallery will extend beyond ICA through a series of collaborations with Lightbox Film Center, PhillyCAM, Scribe Video Center, Slought, Anthology Film Archives, EAI, and EMPAC. 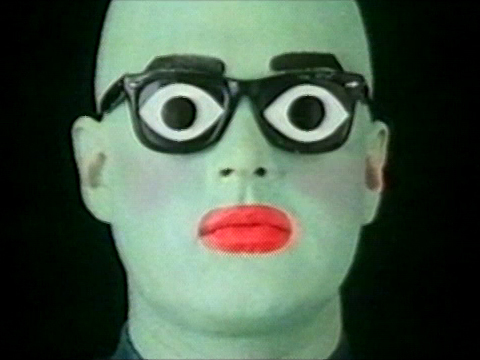 EAI is pleased to welcome Charles Atlas, for an evening dedicated to the life and legend of Leigh Bowery. Atlas will present his documentary The Legend of Leigh Bowery, a complex, candid portrait of his friend and collaborator. An artist, performer, fashion designer, model, and club promoter and icon, Bowery made an indelible mark on nightlife, fashion, and artmaking in London, New York, and beyond, in the brief period before his early death from AIDS-related illness in 1994. Through a wealth of archival footage and frank and uncensored interviews with friends, family, and fellow artists, Atlas traces the extraordinary impact Bowery had on culture, recalling his infamous nightclub Taboo, his collaborations with dancer and choreographer Michael Clark, his time as a muse to Lucien Freud, and his notorious, innovative, and influential fashions and performances.